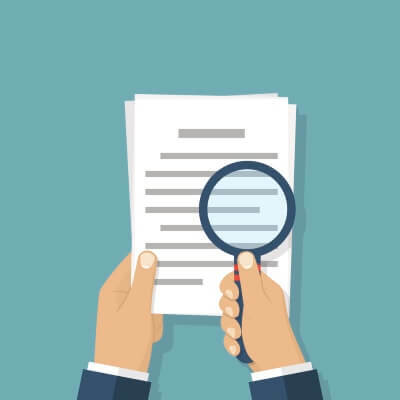 Signing up for a broadband package is simple, but in the process you are agreeing to a legally binding contract and there's a good chance many of us will not read the pages of small print explaining the intricacies of the arrangement. If everything runs smoothly this may never be an issue. But what happens if it goes wrong? Falling foul of your broadband contract can be stressful and cost time and money. So in the interests of saving you some hassle, we’re going to look at common scenarios involving broadband contracts, and how to deal with them. We also reached out to EE, Sky, TalkTalk, Virgin Media, Vodafone and Zen to discover how ISPs approach these situations. Running into a usage limit on home broadband is becoming rarer now that many packages are truly unlimited. But some do still have data caps, particularly very cheap deals. Or you might be using an older package where data limits apply. Exceeding the data limit on a broadband package may result in additional fees on the next bill or service restrictions which slow the connection. As we’ve previously reported some capped broadband services could be very expensive for average users and it’s not always easy to find details of the policies. If you’re on a limited package you should take steps to monitor usage. Your ISP will be able to help here - most provide apps or web tools, or will send alerts once certain thresholds are met. There are numerous third party applications too, but we would recommend against these as they cannot monitor your entire network. Instead, check your broadband router’s settings for a traffic meter feature. As well as logging data usage for every connected device these can usually be set to block further traffic once the desired usage limit is reached. However if you’re in a dispute with your provider about usage they are unlikely to accept anything other than their own data as proof, so don’t rely on this if you believe there may have been an error. The best way to avoid any of the hassle associated with usage limits is to switch to an unlimited broadband deal. They are widely available and not expensive, and you’ll never have to worry about extra costs or restrictions. EE home broadband is unlimited and does not feature usage caps. None of the TalkTalk deals currently available have a data usage limit. All new Virgin packages include unlimited usage. Vodafone packages are all unlimited. Zen has a 20GB limit on its cheapest ADSL broadband package, and 50GB on the cheapest fibre deal. With broadband contracts running as long as 24 months there’s a chance your circumstances may change and you’ll need to end the agreement ahead of time. But while you can always cancel a broadband contract early this will typically result in a charge. How much you’ll have to pay following a cancellation will vary. Some providers charge a reduced fee for the remaining months, others may charge the full amount plus extras, such as the cost of the wireless router. Make sure you get a complete tally of all costs before pulling the trigger. If your ISP has agreed to Ofcom’s voluntary code of practice for broadband speeds you may be able to end a contract early without charge if the connection is not fast enough. The code of practice means ISPs must provide the minimum speed quoted during the sign-up process, treat complaints about speed as a technical support issue and do what they can to rectify them. If your speed falls below the quoted minimum and the ISP fails to fix it, you may be able to leave without penalty. Providers may also offer to switch you to a cheaper package, but you are not obligated to accept this. If the cost of a package rises mid-contract you may have the right to cancel for free. ISPs must notify of increases 30 days in advance, giving you time to cancel and switch provider. Note that this is only for unexpected price rises; if you’re on a broadband contract which has been discounted for an introductory period you cannot cancel for free when it reverts to full price. Some ISPs may permit you to cancel the contract if you move home and they are unable to provide service at your new address. Otherwise you will need to pay the usual penalty. Speak to your provider to find out their policy on house moves and what the cost of cancellation may be. In many situations you will likely find that it is cheaper to retain the contract and move it to the new property. You have a right to cancel a broadband contract for free within 14 days of signing up. Notify the ISP as soon as possible to avoid being locked in for the full term. You may also be given the opportunity to leave for free following a complaint about any aspect of the service, but this is at the provider’s discretion. Follow the ISP's complaints procedure and escalate to the ombudsman if necessary. And be sure to get written confirmation of the early cancellation or any other compensation that’s offered. 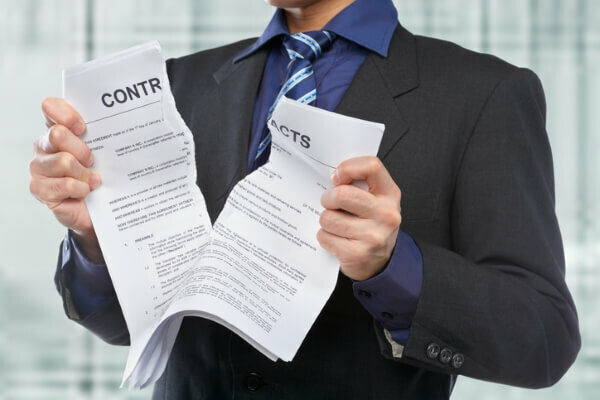 “There are a number of circumstances in which customers may be allowed to end their contract in their minimum term period without paying early termination charges. More information about these circumstances can be found within our Broadband Terms and Conditions. 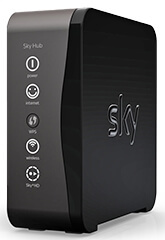 Alternatively customers should call Sky to discuss their account." “If we materially change T&Cs to the detriment of a customer e.g. Price rise to core service or if we break any important term of the customer’s agreement and don’t fix it within 45 days of being asked to do so." “If we’ve increased the price of our service, a customer has 30-days to notify us, in writing, if they wish to cancel the affected service. In this case, they will not be subject to an early disconnection fee." "Like other utility companies, we apply early disconnection fees if a customer wishes to leave their contract early. This fee is based on the type service they have and the number of months remaining on their minimum contract period." “Generally, an early termination fee is payable if a customer decides to end their agreement with us early. This fee decreases the nearer the customer is to the end of the agreement. There are some special circumstances where we would consider waiving the early termination fee but we would look at this on a case by case basis." A free Wi-Fi router is a standard part of most broadband deals but if you’ve been with the same provider for a while this hardware may be outdated. And of course like anything else routers can sometimes fail ahead of their expected lifespan. What can you do if your router is old or broken? Speak to the provider. These devices are a minor cost in the grand scheme of things and given a good reason most ISPs will be willing to supply new hardware for free (though postage costs may apply). Some ISPs do allow you to use your own hardware, sometimes retaining the free router as a modem. While it's not essential to do this it is a good way to get better quality hardware (benefiting from stronger Wi-Fi signal, for example) with more rigorous security. In the unfortunate event someone close to you passes away you will need to ensure all service contracts are cancelled to avoid ongoing costs. Thankfully this should be a fairly straightforward and stress-free process when it comes to broadband. If you’re in this situation, get in touch with the ISP as soon as possible and explain the circumstances. All the providers we spoke to said that they would cancel a contract without charge, though if the broadband is still required you also have the option of transferring the account holder. “We would cancel the account without any early termination fee and waive the outstanding charges. This can be arranged through customer services and we also have a specially trained Bereavement Team to help relatives through the process if necessary. Broadband providers do not usually allow joint accounts. They may permit a named third party to have authorisation to speak to customer services (with restrictions - this person would not be able to switch providers without permission, for instance) but there will only be one account holder. This of course means that one person is responsible for all bill payments, extra fees and will be the point of contact if there is a problem. As well as being mindful of the financial obligations there are legal ramifications too. If someone uses the connection to share copyrighted material it’s the account holder who may receive a warning letter or be threatened with legal action. ISPs will not get involved in disputes over payments in shared homes. If you’ve got housemates withholding their portion of the bill the provider isn’t going to get involved, they just want to be paid. Think carefully about this responsibility before volunteering to be the account holder in your home.